Mitchells A have not had the same impact as last year in the league, but silerware could be on the horizon after the warm favourites were beaten in both the Knockout Cup semi-finals. 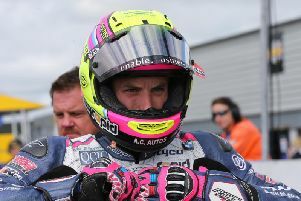 It maybe wasn’t such that big a surprise when Mitchells A toppled their big Cookstown rivals Pot Black in the first semi-final, but not many folk would have fancied Gervins B to get the better of their A team stablemates to secure the second final spot. But that’s what happened on Wednesday night at Plater’s Hill. The Division One side was in trouble right from the start as the youthful and contrastingly inexperienced B lads were out of the traps like the greyhound whose name adorns the restaurant adjacent to the snooker room. Dan Nixon, whose ability is well chronicled after being crowned Northern Ireland U14 champion last year, gave his team colleagues a massive injection of inspiration when he confidently and impressively disposed of the threat of Ciaran Kelly in straight frames, a stunning start. But the lads were quickly brought down to earth when Anthony McGuckin edged out the useful Chris Maye. The remaining two games were nailbiters at times, but the underdogs came on strong in the concluding frames each time, perhaps marking the start of a new era for the long-established Coalisland club. Shea Fee held his nerve extremely well to defy the odds and win the decider 60-15 against Seamus Nixon and apply immense pressure. And Mal O’Neill withstood a potting barrage from the cue of Darren Gribben who followed an initial salvo of 51 with a 40 to take their opening frame 104-36, to secure a tremendous win for the B side. Pot Black, who have a date with Max Keady A on Tuesday night, in the Mitchells club to determine which of them will be crowned league champions, were fancied to win the semi-final but Mitchells were just too strong. Joe Loughran put the visitors ahead by beating Peter Reilly 2-0. Feargal Keenan recovered from the loss of the first frame to edge Dermot Loughran 2-1. Mickey Quinn pulled one back for Pot Black by winning both frames against Paul Currie in similar fashion on the colours. Patrick Wallace levelled the scores by winning 2-1 on the black against Brian Milne, but in the play-off frame, Milne saw his 42-0 lead reduced to just 10 on the penultimate red but produced a superb pot from distance and added the balls he required to clinch a deserved place in the final for Mitchells.